Did you ever freeze up when you had a prospect in front of you? Find it hard to initiate a natural dialog? These opening lines will help you ease into your sales pitch and give you confidence with anyone. 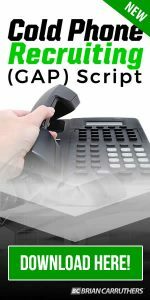 Terrified at the prospect of cold calling? 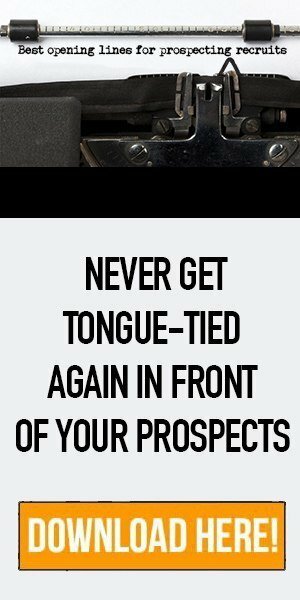 This script will give you confidence by taking the pressure off of you while quickly pointing your prospect to the information you need them to see. 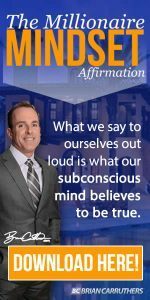 With all the negative self-talk we tend to spew, it’s no wonder so many are failing. This daily affirmation will strengthen your resolve and readjust your mindset to one of success and abundance. 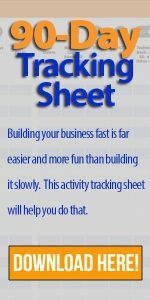 The 90-Day Tracking Sheet is a crucial measure for those who are serious about building their business fast! Track your daily progress and watch your business completely transformed in just 90 days. We live and die by certain creeds. The seriousness of our business intentions lies in the declarations and creeds we make about our business and our lives. 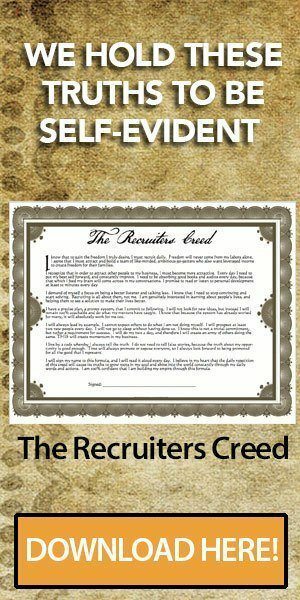 The Recruiters Creed will help keep you focused and accountable. 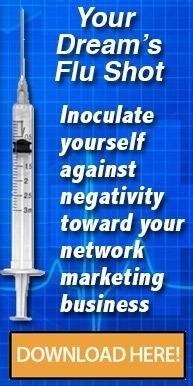 Inoculate your teams against the naysayers, the rejection, and the urges to quit. If each recruit is prepared for what’s coming, and know why they should be expecting it, they will be empowered to push right through it.